ObamaCare "Success": 5 People sign up in D.C.
WASHINGTON — This could not get any more ironic. 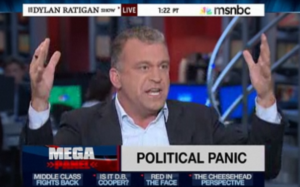 A former MSNBC news host, Dylan Ratigan, just lost his health insurance because of ObamaCare restrictions. As Red Alert Politics reported, Ratigan criticized the Republicans for their opposition to ObamaCare three years ago. He used to host the show, “The Dylan Ratigan Show”. His followers criticized him for ObamaCare canceling his insurance, which is the ObamaCare supporter playbook. But, it does not soften the blow to American’s wallets.